If there’s one brand that most women from any part of the world can’t live without, it’s probably MAC. MAC has been synonymous with the word makeup and it’s not difficult to understand why. One of the leading cosmetic brands worldwide, MAC is a favorite among models, actresses, and even professional makeup artists. Every month, MAC introduces so many collections — new products that are undeniably gorgeous and hard to resist. It also reinvents itself with many collaborations with prominent celebrities while managing to stay in the position where they are known best, a top competitor in the cosmetic industry. MAC has also been responsible for introducing new beauty accessories that we never thought could possibly be such a big hit in the market. MAC offers a wide range of products such as eyeshadow, eyeliner, lipsticks, nail paints, foundation, concealer, and blusher. This brand has been immensely successful in meeting consumer expectations in terms of variety and quality. The products are a little more expensive compared to other popular brands like Maybelline, Loreal, Chambor, and Revlon, but they continue to be a leading brand in the market anyway. If you are a first-time customer, you’re probably having a hard time deciding which MAC products to add to your makeup kit. We totally understand. Walking into a MAC store can feel overwhelming for a lot of girls. There is a countless number of cute and beautiful containers filled with magical potions and color palletes that you have never heard of before. And you feel like you totally need those beauty items no matter how strange they look to you. To make your shopping easy, we list down the top MAC makeup products that you should definitely bring home on your first visit to this makeup heaven. Read on for top seven picks that you absolutely need to have in your makeup bag. To look good, it is very important to make your skin look flawless, and that’s what MAC studio fix fluid foundation exactly does. This foundation combines a natural matte finish and medium-buildable coverage with broad spectrum SPF 15. It is long-wearing which lasts for up to eight hours, so you don’t have to worry about retouching in the middle of a party. It also contains special micronized pigments and soft-focus powders for a super smooth look that helps you to minimize the appearance of imperfections. It effectively absorbs and disperses the oil. In terms of protecting your skin, a makeup remover plays an important role. This MAC makeup remover effectively serves this purpose. This is a dual purpose makeup remover which helps to clean your makeup including the waterproof types. It is a combination of oil and water, so you have to shake it to make sure it’s well-mixed before you use it. This mixture helps to sweeps off even the most tenacious waterproof eye or lip product. It contains cucumber extracts which soothe your skin and contains Damascus Rose flower water which refreshes your skin. After removing your makeup using this product, there is no need to rinse your face with water. If you want to have long and thick eyelashes, then MAC Extended Play Mascara is your best option. It comes with a petite brush for easier application and gives you long and defined lashes instantly. This mascara comes with a unique waterproof formula which is easily washable with warm water. It lasts up to 16 hours, so you can be sure that your eyes still look beautiful even after a long busy day. It does not only provides volume and length to your lashes, this product also curls them for a gorgeous look. Every girl loves eye makeup and eyeliner plays a very important role in creating beautiful eyes. A makeup is incomplete without a good eyeliner, so if you’re looking for a good product that can help define your eyes in just a few strokes, you must go for MAC liquid eyeliner. This eyeliner comes in a small size bottle with a thin felt tip brush for precise application. It is a deep intense black eyeliner that lasts up to 12 hours. It is waterproof and available in a wide range of shades. If you are a blush lover, then MAC powder blush is your go-to product. It comes in a wide range of colors that have varied textures and finishes. Desert Rose is one of the most beautiful blushes which comes in muted pink color. It immediately adds color to cheeks of, making your skin looking fresh and rosy in an instant. This blush provides a matte finish and delivers a fantastic color intensity to your cheeks in just a few coats. Your eyebrow reflects your mood and drastically change the way you look, so be careful in choosing a product to enhance your brows. MAC Fluidline Brow Gelcreme is a gel-based product that is perfect for defining and shaping eyebrows. It is waterproof and long-wearing which lasts up to eight to ten hours. It is very easy to apply using an angular brush. You can lengthen and define your brows, and create any shape without hassle. From subtle to dramatic, this fantastic product can easily help you achieve your desired look. These are just a few of the amazing MAC collections; you can find a lot more interesting and irresistible MAC products, but we suggest that you start with the basics if you’re a novice. If you’re ready to experiment various types of looks, then feel free to purchase anything you want and have fun applying each MAC’s high-quality cosmetic product. 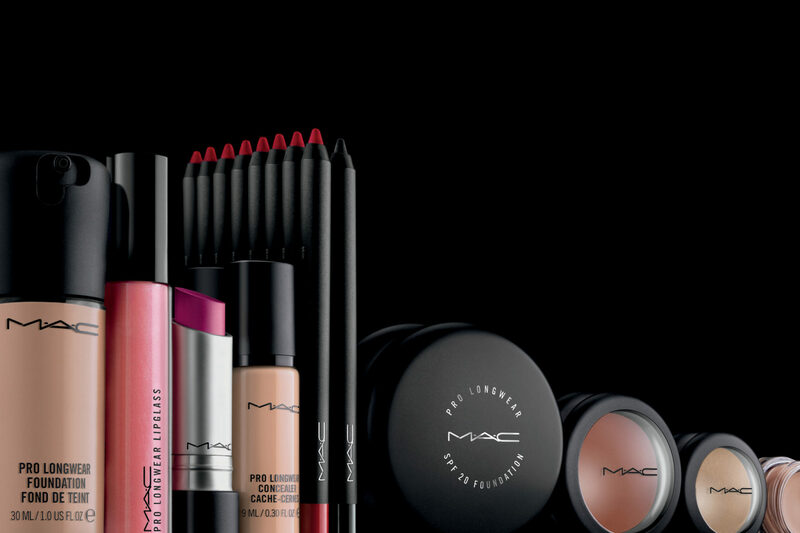 MAC has a lot to offer to you, so just fill your beauty kit with any MAC item you’ll find. Have you tried any of these MAC products? Comment your all-time favorite MAC makeup products below.